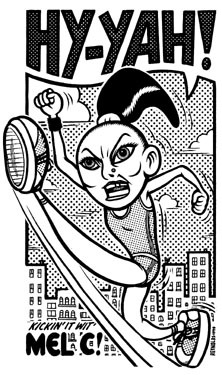 A portrait of good ol' Mel C. of Spice Girls fame. From Fantagraphics' Spicecapades. 1999.